“It was the ’60s” is a cop out. Yes, it is important to understand any media in its original context. However, it is also important to understand how different people of different generations will interpret the same media in a different time period. And this brings me to hermeneutics. What was the original intent of the episode’s writers? What did it mean in 1966 (or 7/8/9) when it first aired? What does it mean when we watch it today? Science fiction, in my opinion, has a heavier burden than other media when it comes to this kind of interpretation. Especially sci-fi that attempts to depict an idealized world in the future. And then we consume that media 10-50 years later and find those ideals dated, lacking, or even problematic. It’s easy to understand the historical and social context of, say, To Kill a Mockingbird, which was published in 1960 and set only about 25 years prior. It’s not as easy to understand social trappings of the 1950s and ’60s in stories set in the 24th Century and beyond. I tend to think there’s also extra pressure on Star Trek because it has a reputation for being progressive. For the time it was made it, it often was. But not always. And it’s worth noting that, in Letters to Star Trek (compiled by Susan Sackett), you can find several instances of women fans writing in and objecting to the portrayal of women of TOS. In the ’60s. (Some examples can be found here.) So, saying “it was the 60s” obscures and dismisses that history. Let’s look at a non-Trek example: The Left Hand of Darkness by Ursula K. LeGuin was published in 1969 and is the “most famous examination of sexless androgyny in science fiction.” (Wikipedia) The book won several awards, including the Hugo and Nebula for Best Novel of the Year, and is often found on “best sci-fi literature” lists. However, today, many people see the work as problematic and transphobic. So, who’s right? Is it groundbreaking? Or problematic? 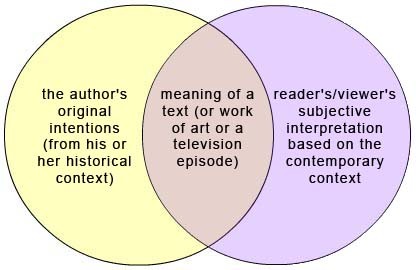 Well, both, depending on who is interpreting the work, when, and the experiences they bring to at interpretation. Does that mean you shouldn’t read it? Not necessarily. If you do, it’s important to understand the book’s historical context. But you don’t ignore its problems when you talk about it today. 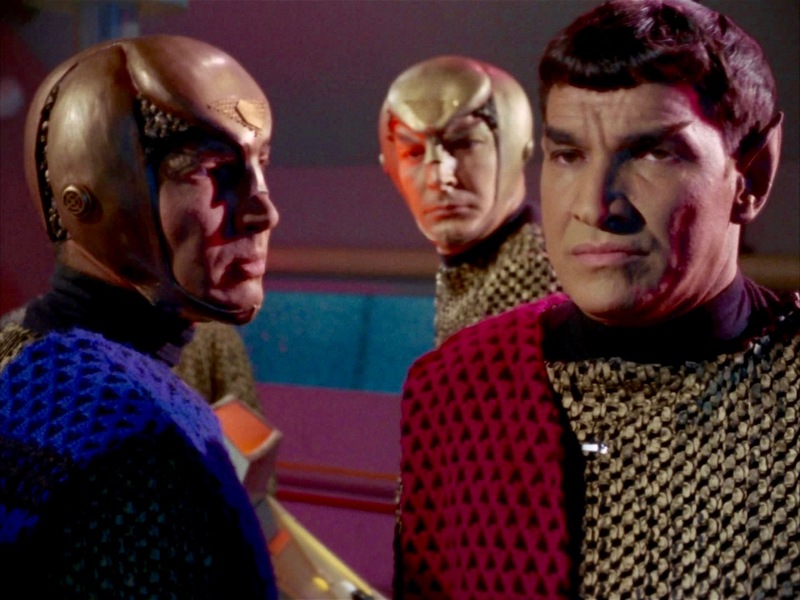 Yes, Star Trek has been around for a long time. It’s a pop culture phenomenon. And that means that it’s going to continue to be around for a long time. And people are going to continue to watch TOS (and TAS, TNG, DS9, Voyager, and even Enterprise) for the first time. Never again will anyone watch any of these shows in the same decade that they originally aired. Never again will anyone have the same historical or social context as the show’s writers. What did this episode mean to me the first time I saw it; 5, 10, 15, or 50 years ago? How have I changed and how and why has that changed my perception of the episode? What will someone 20-50 years from now think of these social and political messages? While the era that a piece of media was made is important and can shed new light on an idea as you explore that context, anyone coming to it – especially those coming to it for the first time – will interpret it differently. We will all have different opinions about it based on our own personal circumstances and experiences, because media does not exist in a vacuum. And the time period during which something was made in does not automatically establish a protective bubble that shields it from criticism and discussion through any lens. Don’t let an original air date prevent you from digging deeper to analyze art with a modern lens. A version of this piece originally appeared on Anomalous Musings on July 22, 2015. Please do not post elsewhere without express permission. Great read – it’s always interesting to note that folks who say “it was the 60s” are creating their own version of what that means. In other words, is the person using that statement actually from the 60s? If not, then that belies the assertion. If they are, are they talking about their viewpoint? The perceived viewpoint of the culture? I think — whether we admit it — when we say that was “the 60s,” I think that’s meant to be “more white, straight, and male-dominated.” Yet non-whites, LGBT, and women did IN FACT exist in the 60s. Heh. The perception of the culture is usually more conservative than it actually is … and the perception of what TV viewers will tolerate — doubly so. We can even look to the “hey day” of Trek – the 90s, and it still comes across as a perceived “conservative” culture, but that would not actually be true. 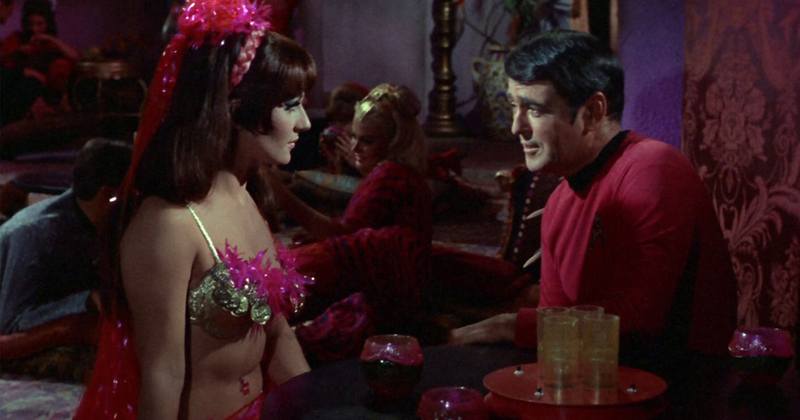 I enjoy TOS (not my first or second Trek-rated series, but still…) but I can recognize what elements don’t work. I think some people are worried that if we criticize TOS, we are just trashing Trek. I think it’s just a loving “hey, that’s not cool today” pointing out of how we expect a lot from our beloved franchise, regardless of series. What is your first and second Trek-rated series? I’m TNG, VOY, TOS, ENT/DS9. 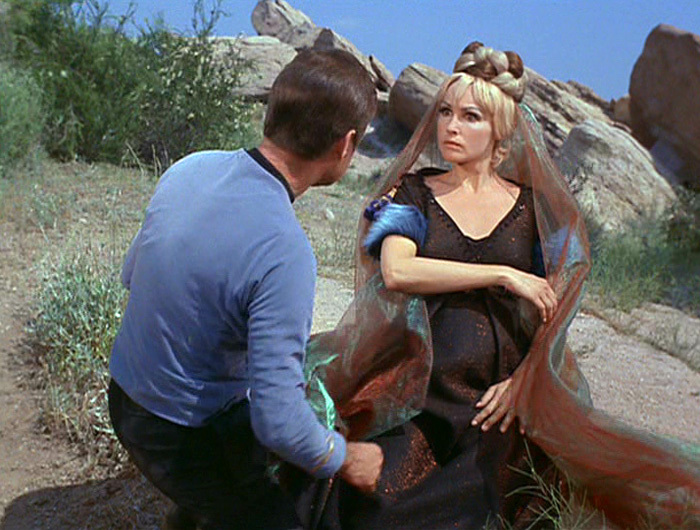 but the problematic artifacts of TOS are pretty much inexcusable. As much as I respect Gene, he was Misogynistic as all get-out. Sadly: Trek never recovered from that foundational issue. and Crusher (the ultimate Mommy Issue) wasn’t much better. but they’ve just been done to absolutely death since the beginning of recorded time! Me? I want a modern SF female “Malala Yousafzai, Icon of Peace” story arc/character. … and Head-Cannon crypto-revisionism/FanFic Admiral Uhura!! !